Newly appointed Finance and Economic Development minister Professor Mthuli Ncube has urged the business community to accept bond notes as they are still a legal tender saying the currency will only change after broader economic reforms have been put in place. Exchange rates on Zimbabwe’s parallel market have skyrocketed to an average 100% for real time gross settlement (RTGS) transfers on the back of Professor Ncube’s remarks that bond notes will be phased out. 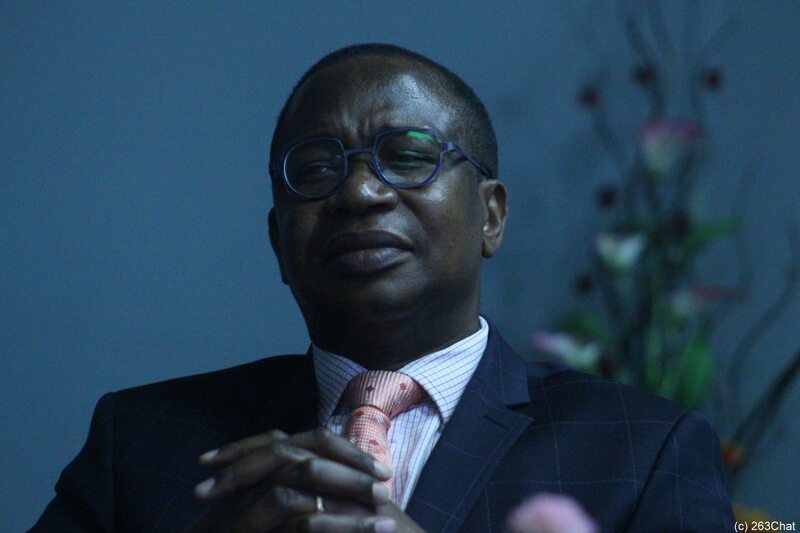 Addressing the media in the capital today, Ncube said government is working towards fiscal and monetary reforms with the aim of reducing budget deficit to a single digit. “The direction on currency reforms really was also with linked with the direction of fiscal reforms, what we are considering is a package where we are looking both on the fiscal and monetary reforms since they work together. “What l mean is that we should reduce budget deficit to a single digit as quickly as we can and also adopting a budget approach whereby we must be clear on where we want to be in years time in terms of fiscal balances,” he said. He added that they are working on controlling expenditure and broadening the tax base. “We also want to control expenditure and making sure that on the revenue side we broaden the tax base. “That should be clear getting fiscal balances into some equilibrium and simultaneously deal with the monetary section such that monetary sector reforms become formalized and then currency issues are then dealt with within that. “So its a package that we are working on rather than something as narrow as whats being said in the street and that is the formulation of a strong currency that we are looking for,” added Ncube. Speaking during the State of the National Address (SONA) and the official opening of the first session of the Ninth Parliament today, President Mnangagwa also said the multi-currency system will continue until economic fundamentals are met adding that the government has negotiated various facilities to meet foreign currency requirements for businesses and that some of them will be disbursed starting this week.